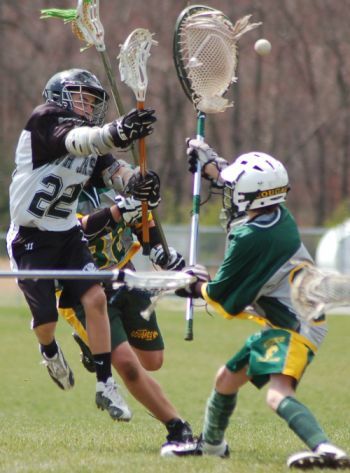 Youth Lacrosse in America represents the fastest growing segment of the sport along with High School Lacrosse. This astonishing growth is resulting in new clubs, leagues, and teams popping up all over the US where lacrosse has not been available in the past. One of the primary reasons we built SimplyLacrosse.com is to assist the club lacrosse communities to develop, and grow quality lacrosse programs from grade school through middle school, and on into high school. We also fully support the adult programs as well – Please see our club page for more info on club lacrosse. We know the future of our sport depends on consistent growth and development at the lower levels. Ultimately it is youth lacrosse that will dictate the demand for varsity programs in high school, and college in the future, and will drive our continuing march into the main stream American sports consciousness. SimplyLacrosse.com is dedicated to providing a safe clean place specifically for the youth lax programs throughout the country to share information. Great ideas are happening all over the place, and we need to spread the word among our groups about what we are doing to grow and build these phenominal programs. We also encourage you to share information about your club with us, so that we can help interested folks in your area find you. As the traffic on our site continues to show phenomenal growth we want to be a tool for your organization to reach out. And we want to help connect those newly interested in lacrosse to your organization. We also are dedicated to providing quality instructional information as well for coaches, officials, players, parents, and organizers who are looking for help in improving the quality youth lacrosse experience that you are able to generate for your community. This site is not about being another internet directory. Our vision is much more personal in nature. We don’t just want to list your information, we want to know you. We want to know what is important to you. And we want to share your stories and information with the rest of the community. Furthermore we know that one of your biggest challenges is raising money, so God willing as long as we can afford to do so, we are 100% dedicated to providing this resource for free. Now this is where we need your help. In order for us to grow this free resource to the youth lax community we need for you to help us spread the word about our site. Word of mouth is the very best form of advertisement for us. Just let your parents, and players know that they can come to our site for information and resources. And better yet have them send us ideas and feedback. We are always looking for fresh ideas on drills, practice plans, camps, etc… Please click this link to go to our contact-us page to submit information or share ideas. The best way you can help us outside of word of mouth is to link your web page to ours. Links help us to improve our rankings in the search engines like, Google, Yahoo, Ask, MSN live search, etc… This greatly helps our ability to be found by those who are looking for information about youth lacrosse, or what ever it is lacrosse related that they are looking for. So please help us become the best resource we can for your group by clicking on this hyperlink for instructions on how to link to our site.